‘It’s all over now, Maggie. I will release you.’ Afraid, alone, and forsaken. A killer is stalking the historic West End streets of Fremantle preying upon the women of the port city. When a third lifeless body is found discarded in a dank alleyway with her throat ripped open, Detective Sergeant Claire Patterson is convinced she is dealing with a serial killer. For DS Patterson, this is her first time leading a major investigation, and she’s intent on proving she has what it takes, even if it means working with the antagonising DS Michael Halliday. As the murders grip the city with fear, Claire Patterson must learn to trust Halliday if she is to catch a killer before he strikes again. It’s always good to discover a new author making crime fiction out of Australian cities and their social history. It’s even better when the author is an historian who supplies local background material which the reader can be confident is accurate. Leigh Straw is based in Perth, where she teaches at a university and pursues her research interest in crime history. Straw’s knowledge of the history of Perth and the nearby port city of Fremantle has produced a prize-winning non-fiction text, Drunks, Pests and Harlots (2013), and more recently the police procedural novel Limestone, which is set in the present day but alludes to past crimes and the area’s convict history. On the other side of the continent, Sydney’s inner-city criminal milieu in the early twentieth century is the setting for Straw’s novel Sophia Lane (2015) and her forthcoming biography of notorious underworld identity Kate Leigh. In Limestone Straw’s lead investigator, Detective Sergeant Claire Patterson, focuses on Freo’s historic West End, where old pubs and lanes have withstood Western Australia’s rapid commercial development. 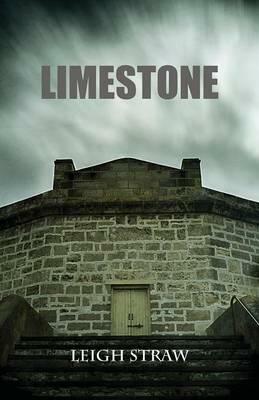 With the bodies of two murdered women having been found in the precinct in recent weeks, Patterson is heading up Operation Limestone, named for the local stone hewed by convicts and used to build most of the original buildings. When the body of a third female victim is found it seems probable the police are looking for a serial killer. History again impinges, with revived memories of the Claremont murders of women in Perth in the 1990s. Older police also recall the Moorhouse murders of four women in the 1980s. In that case a pair of perpetrators was caught. One older officer challenges Patterson’s capacity to lead a major homicide case. She has had no experience of serial killers, whereas he worked the Claremont killings. ‘And you didn’t catch the killer, am I right?’ Patterson ripostes. This exchange foreshadows a narrative which is as much about Patterson’s workplace relationships as it is about crime investigation. Patterson’s most challenging relationship is with fellow detective Michael Halliday, and here the tension is chiefly personal. The two used to be lovers, until Halliday left Patterson. The new man in Patterson’s life is a local journalist, Jack Manning. As well as being careful not to divulge any investigative secrets to Manning, Patterson has to contend with Halliday’s hostility toward him. It’s clear from the outset that Halliday still has feelings for Patterson, and she is not over him either. Everyone in the team feels the attraction and animosity between the two; and it’s a distraction which is not helping Freo’s finest catch their killer. So far so familiar in police procedurals. To Straw’s credit she manages all the plot components capably enough. She brings her coppers’ investigation to a resolution that has both acceptable and implausible elements. And she leaves the Patterson-Halliday relationship unresolved, ready for further advances and retreats in the context of another case. I have not yet read Straw’s Sophia Lane. The National Library of Australia’s Trove service does not identify a copy of the novel in any Australian lending library. However it is possible to order a copy from Booktopia, Amazon or Book Depository. It’s a pity Straw’s books aren’t more readily available and better known.